Shire has decided its neuroscience business would do better as a separate division and will move it out from its rare disease interests following a five-month strategic review. The move raises speculation that it’s a precursor to the unit’s divestment, particularly given Shire’s stated strategy of becoming ‘the leading global biotech company focused on rare diseases’. Commenting on the change the Irish biotech said there was a strong business rationale for creating the two divisions, given their “distinct strategic priorities”. In a statement that company said it was “continuing to evaluate all strategic alternatives, including the merits of an independent listing for each of the two divisions”, with the review’s second stage expected to report before the end of the year. Historically dependent on just one ADHD treatment - Adderall -, neuroscience has dwindled in the face of Shire’s rising presence in orphan drugs and last year it accounted for less than a quarter of the firm’s $11bn revenue. The company also faces outside pressures, and shortly before Christmas was mentioned in the press as a possible big pharma takeover target after the failure of a pivotal trial for its Hunter syndrome therapy. The company’s new neuroscience division will look to build on its ADHD heritage and newer products like Intuniv, Vyvanse and Mydayis, the latter of which was recently launched in the US. Meanwhile, Shire’s rare disease business - which accounts for 70% of revenues - has been growing apace, receiving a significant boost from the $32bn merger with Baxalta in 2016. 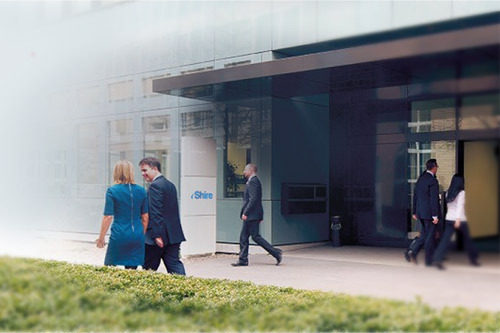 CEO Flemming Ornskov said: “Shire has undergone a significant transformation over the last five years creating two market-leading businesses with distinct profiles and future needs. Shire’s announcement came just days after pharma giant Pfizer exited early-stage Alzheimer’s and Parkinson’s R&D to allow it to make more effective use of its neuroscience research investments.